The Disabilities Board of Charleston County (DBCC) offers services and support in Charleston, Dorchester, Berkeley and Colleton counties for qualified individuals who have survived a head or spinal cord injury. Eligibility is decided by the SC Department of Disabilities and Special Needs (SCDDSN). 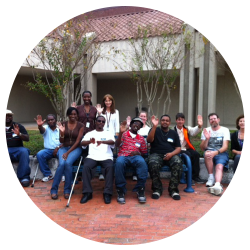 SCDDSN provides funding for services to eligible individuals. Services that may be available include case management, home and vehicle modification, respite care and attendant care, and adaptive equipment. In addition to case management and help accessing these services, DBCC offers three HASCI programs: the Community Opportunities Center, the VIP program and Rehabilitation Supports.